A novel is a major undertaking. But it’s also one that can fit around a busy life. You don’t need all day, every day, to write. If you can find just 30 minutes each day, you could finish a novel (to the point where you’re sending it out to agents, or self-publishing) in just two years. If, like me, you know some super-prolific novelists (like Joanna Penn and Johnny B. Truant), one novel in two years might sound a bit slow. But … one novel in two years is definitely better than no novels at all. In case you have a particular aversion to slides, or want to see everything in one place, the rest of this post covers the same ground but with a lot more explanation. Have 30 minutes per day available (or the equivalent across a week, e.g. two 1 h 45 m sessions). Plus time for your novel to be with your editor and/or beta readers. This should result in a novel of 75,000 – 80,000 words, completely finished (from initial idea to ready-to-go book) within two years. Yes, that is a lot of redrafting and editing. If you’re writing in a research-heavy genre (historical, hard SF, fantasy that involves a ton of world-building) then allow a couple of extra months for research before you start the plan proper. If you’re writing in a genre where books come in around 50,000 words (romance, some YA) then you should be done with “writing the first draft” and “redrafting the whole dang thing” in 3 – 4 months rather than 5. You’ll probably find you can cut down the editing phases too. I’m going to make a rather bold assertion here: however busy you are, you can carve out an average of 30 minutes per day (3.5 hrs per week) to write. If your time is subject to a lot of interruptions, or if you end up cancelling writing sessions at the last minute, then plan time for catch-up sessions. For instance, aim to write from 5pm – 5.30pm, but if for some reason that doesn’t happen, write from 9pm – 9.30pm. If you can’t fit half an hour a day (or the equivalent) of writing into your life as-is, figure out what needs to change to make it work. Could you hire a babysitter for two hours, twice a week? Can you rely on ready meals or takeaways three nights a week, so you don’t have to spend so much time cooking and washing up? Is there a commitment you can give up to make more time? The rest of this post will take you through the plan, month by month, with tips on tackling each stage of it. Note: if you already get the Aliventures newsletter, just head here and enter your password to access the page (it’s in your welcome email; just email me at ali@aliventures.com if you’ve lost it). You can download The Two-Year Novel straight away. Daily target: 30 minutes planning, research and/or outlining. End goal: A complete, chapter-by-chapter plan. I’ve never been much of a planner when it comes to writing novels. I tend to know the start and the end, and have a rough idea of what happens somewhere in the middle, before I get going. These days, though, with seriously limited fiction-writing time, I’ve made myself get better at planning. After all, I plan my non-fiction writing in detail – and I know I save a ton of time that way. If you tend to jump straight into writing with a bare minimum of research and planning, I’d really encourage you to try holding back for the first couple of months. I know that can feel weird and unproductive when you’re used to measuring your progress in words written … but a couple of months now can save you a good year or more of work further down the line. Daily target: 500 words (or 30 minutes writing). End goal: A complete first draft (around 75,000 – 80,000 words). I think there’s a bit of a myth out there that good novels take ages to write. In my experience, at least, the reason I sometimes take a year or more over a first draft is not because I’m spending days agonising over word choices and character motivations – it’s because I focus on the novel for a month or so, hit a busy period in my life (and potentially a sticking point in my novel), and then don’t write a word for several months. If you have a plan (see months 1 & 2) and the commitment to sit down for 30 minutes every day – or the equivalent length of time across a week – then you can and will finish your draft in five months. Chances are, it’ll be a better draft than if you’d taken a year or more over it, because you won’t have lost track of what you were doing multiple times along the way. Getting rid of anything that distracts you during writing sessions (put your phone somewhere else, turn off your internet connection). Planning the scene before you start writing – you may have done this during the first couple of months, but you might want to revisit and flesh out that plan a little. Writing as fast as you can, in timed bursts – e.g. for five minutes or ten minutes at a time – this is a good way to train yourself to write faster more generally. Ignoring your inner editor. First drafts are normally rough and ready, full of clunky phrasing, clichés, and other infelicities. Don’t stop to perfect every sentence – keep moving. You might want to track how many words you time to see whether you’re speeding up – or at least to give yourself a good benchmark of what to expect from a thirty minute session. If you feel that averaging 500 words in 30 minutes really isn’t achievable, then either extend your sessions a little (40 minutes instead of 30) or fit in an extra session once or twice a week. Daily target: 500 words redrafted. End goal: A good draft of your novel that you’re willing to share with your editor and/or beta readers. This may sound horrendously inefficient, but it’s the only thing that works for me: I write a whole first draft, print it out, then redraft from scratch. Obviously, some of the original words make it into the redraft – I may even retype whole sentences or paragraphs (particularly of dialogue). For me, this complete reworking means that every single sentence gets an overhaul. I enjoy revisiting each scene but getting it right (or close to right) – in many ways, this can be more enjoyable than the first draft. If you prefer to edit what’s already there, rather than redraft completely, that’s absolutely fine too. I’d still suggest allowing five months, as this method can still take a fair while. In month eleven, contact your editor (or beta readers). By this point, you hopefully know whether you’re on track to finish by the end of month twelve. This means they can plan ahead to slot you in. Daily target: 30 minutes novel-related work. You have a coherent list of final edits to make, both on a bigger-picture level (“you need to cut / add 20,000 words”) and on a fairly detailed level (“this sentence didn’t make sense”). If you’re self publishing, you have a draft cover design and blurb. If you’re submitting to agents, you have a draft cover letter and synopsis. You’ve read and returned any manuscripts that you are beta-reading. This might seem like a long time to allow for your novel to be edited, but unless you’ve been super-organised and booked up your editor months in advance, there’s a good chance that they won’t be able to drop everything to work on your novel. If you have several beta readers, as well as giving them plenty of time to read your novel – they’re probably doing it for free – you’ll want to allow time for asking them questions and perhaps even redrafting bits of material for them to look over again. 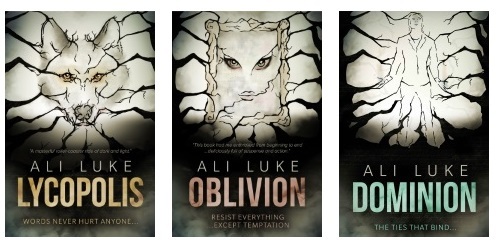 This is also the point at which to get a cover designer involved. Unless one of your beta readers happens to moonlight as a designer, you’ll need to provide a synopsis of the story and an idea of what elements should appear on the cover. Give everyone you’re working with a clear deadline – it’s a good idea to make this two or three weeks prior to the end of month 15, so that if their work overruns, it doesn’t disrupt you too much. You’ll have plenty of opportunities to tweak these during the rest of the year. Daily target: Editing 800 – 1,000 words. End goal: A finished novel that comes at least close to publishable standard. This is a fantastic stage to be at, because it’s when your novel starts to really take on its true shape. You’ve had feedback from experienced readers, and you’ve probably got a whole list of issues to address – big and small. While I’ve given a daily target above, depending on the edits you need to do, you may find that it’s easier to work with a weekly average. Sometimes, you’ll be cutting a whole chapter and adding a new one; at other points, you might just be tweaking a handful of sentences in a chapter. Try to keep moving fairly fast at this stage: keep up the momentum as you watch your story come together. It’s easy to get bogged down or to procrastinate on making changes, particularly larger ones – and this is the point at which novels can drag on and on. As you edit, make sure you are happy with the editorial choices you’re making. Your editor or beta readers may offer some suggestions that you decide don’t suit your conception of the story or the characters. Give them due consideration, but remember, you’re the author: you have the final say. A list of (hopefully) fairly minor changes and tweaks, probably include some typo-spotting. Get ready to publish, with a finished blurb and product description, potentially a website or blog online, your copyright page and acknowledgements written, and a good idea of how to get your manuscript formatted and online (even if your plan is “pay someone else to do it”). This is a good point at which to get one final round of feedback to make sure there are no lingering issues – or to check you’ve not accidentally introduced a new problem. At this point, you should feel pretty happy with the current state of the novel. You may well feel it’s ready to publish straight away. I’d encourage you to run it past at least one more beta reader, though. This might be someone who read the earlier draft, or it could be someone who’s coming fresh to your novel. Is the pacing too slow in the early chapters? Does the relationship between Sue and Bob work for you? Have I over-used any words / phrases? Hopefully, at this stage, you’re not going to get feedback like “the second half of the book feels like a whole different story from the first” or “there are too many subplots going on”. Instead, you’re likely to find that there are just a few little niggles to address – perhaps a scene gets off to a slow start, or some of your dialogue isn’t quite convincing. While your novel’s off being edited, you can get on with various admin tasks to put you in a good position to publish. The following lists aren’t by any means exhaustive, but should give you some ideas. Revise your blurb and product description. The blurb is what goes on the back of your book (if you’re creating a paperback); the product description is what goes on Amazon in full. Finalise your cover with the cover designer, if you’ve not already done so. Revise your cover letter and synopsis: at this point, your novel’s unlikely to change significantly. You may want to pay your editor to look at these as well as your manuscript (especially if they have significant experience of either being published traditionally or working in an agency or publishing house). Create a list of agents and/or publishers to contact with your covering letter, synopsis and sample chapters. In the UK, the Writers’ & Artists’ Yearbook is a great resource for this; in the US, try Writers’ Market. Write or finalise the acknowledgements and decide who to dedicate the novel to. Create a website, blog or social media accounts. You don’t have to do this, but if you have the time, it’s a good idea. I’d recommend using your name (or pen-name) as the website’s URL, if it’s available. Daily target: Editing 1,200 – 1,500 words. End goal: A truly finished novel! Note: If the previous revising and editing stages went really smoothly, you may well not need two full months. Allow for this time when planning, though – better to finish early than end up rushing to get your novel to your proofreader(s). Hopefully, you’re not going to have any major changes to make at this stage. You’ll probably find that some chapters can remain almost untouched and others need quite a few detailed tweaks – that’s fine. The daily target here is very much an average – you might zoom through 6,000 words of manuscript in one 30 minute session, then spend the next session tackling just 500 words. If you are facing the prospect of making major changes, take a few days off. Come back to your manuscript and your beta reader or editor’s feedback afresh – and go with your gut reaction. Do you feel, deep down, that they have a good point and that your novel genuinely needs significantly more work? I know how frustrating this can be – but better to allow a couple of extra months now than to rush out something that you know isn’t really as good as it should be. Or do you feel that, while they have an interesting idea, it’s not really right (or necessary) for your novel? If so, consider making a few easy tweaks, but avoid wholesale rewrites. It’s worth allowing a little bit of your writing time to contact potential proofreaders (for month 22) and reviewers. Keep in mind that Amazon may remove reviews from your friends or family, so you might want to cast the net a little further afield (try friends of friends, or people you’ve met in writing groups or forums). From your proofreader(s): A finished novel with no typos or other errors. Other: Reviewers contacted; website / blog / social media accounts (delete as appropriate) ready for visitors; potentially advertising slots booked up; draft email copy to send out to friends/family/etc about your novel. Don’t try to proofread your novel yourself. That’s so important that I’ll say it again: don’t try to proofread your novel yourself. It is incredibly hard to spot typos in something you’ve written, because you know what you meant to write. Instead, find at least one other person (preferably two) and get them to proofread the whole manuscript. Chances are, you’ll need to pay them. If you’re relying on unpaid, amateur help – like a spouse or a friend – then try to get several people to proofread. It’s more of a skill than you might think. If you’ll be self-publishing, this is also the time to contact reviewers, using the list you drew up last month. Send the book to them early in this month and let them know when you expect to publish it. I’m assuming, here, that any really glaring errors will have been caught during editing. If for whatever reason you think your book has a fair number of typos, then hold off on sending it to reviewers until it’s been proofread. End goal: Your book is available to buy online or your manuscript is with agents/publishers. Note: for some tasks this month, like getting your book onto Amazon, it’ll be useful to work in longer sessions of 1 – 2 hours rather than 30 minutes. I’m going to assume that, at a minimum, you’re publishing on Amazon in ebook format (by far the most popular option for self-publishers!) – you may, of course, be publishing on other ebook sites in addition to this, or producing a paperback version of your book. If you don’t want to self-publish, of course that’s fine! If that’s the case, this is your month for sending out your manuscript to agents and publishers: if you’ve been following the whole plan, you’ll have a list of appropriate agents/publishers from months 21 – 22. Self-publishing your book might sound like quite a technical challenge, but it’s become more and more straightforward over the past few years. You may want to simply upload your manuscript to Amazon yourself, or you could outsource this to a freelancer or a company like Book Baby. You can find out how to prepare your manuscript for Amazon here: essentially, you can use a Word document with Styles (not tabs or manual font size changes) to handle all the formatting – like chapter headings and paragraph indents. A price for your book. There are countless blog posts about pricing your book as a self-publisher: if you want a super quick answer here’s what I recommend. Make the ebook $2.99 in the US and £1.99 in the UK. You’ll qualify for the 70% royalty rate but your book will still seem good value. Your finalised book cover from the designer. If you can, get it full size (to use for a printed version), and in a smaller version (to upload to Amazon as your book’s cover image – this will appear on Amazon and on readers’ devices). Your “book description” – this is your blurb plus extra details about you and your book; at this point, you may have some quotes from reviewers to include. A list of keywords for your book. Amazon explains how to use those here. Two categories for your book. Get Amazon’s advice on choosing categories here. 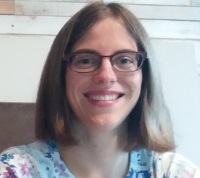 A biography for your Author Central page and your Goodreads page (important to get these set up as soon as your book is on Amazon). Any copy you want to put on your website related to your novel. You might use the blurb, for instance, but also include information about your writing process. So that’s it: how to write and publish a novel in two years. Congratulations on making it to the end! You may want to bookmark this post to come back to as you work through the plan. Information on getting past “sticky points” at each stage: common areas where writers struggle, procrastinate or get derailed. Lots of links to further reading (books and blog posts) at each stage of the plan, to help you find out everything you need to know, when you need to know it. If you’ve got any questions or if there’s something extra you’d like to see me create to go with the plan (e.g. a printable calendar to mark your progress on) then just pop a comment below. Would like to check out the free ebook. But there’s no place to put my email address where the site indicates. I’ve sent you an email, Nikki! This is brilliant! Thanks so much but I have a question out of curiosity, how would you adjust the formula to just one year? 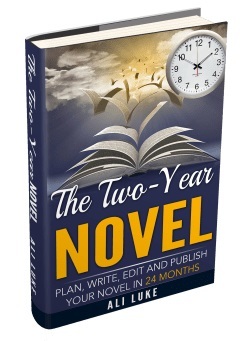 Without compromising the editing or beta readers part, what would shorten the time to 18 months? increasing the word count to 1000 words a day, perhaps 1500? Maria Smith’s last blog post ..Catching Up! Thanks Maria! It’s working well for me so far..! where is the link for the ebook? I am not writing a novel yet, but I plan to write one some day, and I guess this post is going to be the cornerstone in my writing journey.